The Hockey Club are enjoying a good season across all age groups this term, with notable performances in the block fixtures against Stowe and Pangbourne especially. 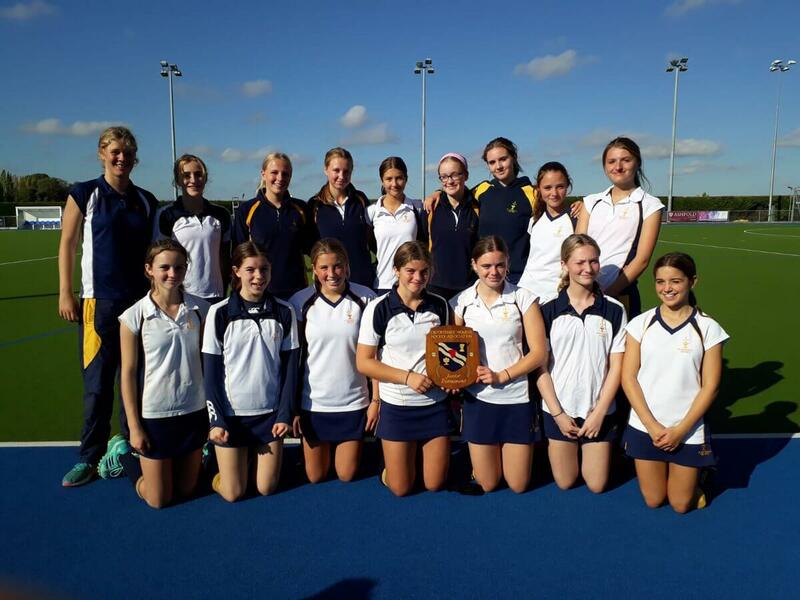 Trumping this, however, have been the results in the County tournaments where all three of the sides competing – 1st XI, U16A XI and U14A XI – have progressed to the Regional tournaments! St Edward’s U16 XI were the first of three sides in county action this month. Playing just up the road at BRN, the U16s faced Cranford House, Cokethorpe, Tudor Hall, Headington and Oxford High. Over the course of the tournament the girls scored an incredible 17 goals without conceding a single one in reply and the indomitable Anna West top scoring with 8 goals. Izzy Rees scored a hat-trick in the 6-0 opener against Cranford House, Anna West followed this up with one of her own in the 3-0 victory versus Cokethorpe, Tudor Hall were beaten 4-0 before Headington and Oxford High were taken at 2-0 apiece. The U16’s day concluded with 17 goals and one County Championship. The following week the 1st XI took their turn in county competition at Banbury Rd North. 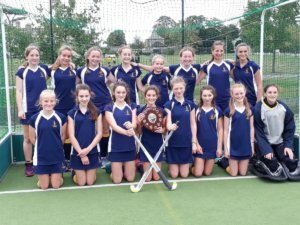 They got their tournament underway with a 0-0 draw against Tudor Hall, before Phoebe Cain swept them to a 1-0 victory over d’Overbroeck’s, and returned the same score against Cokethorpe, courtesy of a goal from joint Vice-captain Jess MacLeod. There followed a heart-in-mouth semi-final against Headington, with the deadlock unbroken throughout normal time. The game was in the balance to the last with penalty flicks eventually deciding it, Maddie Catchpole playing an important role between the sticks and Jess MacLeod holding her nerve to seal the win. The 1st XI will now progress to the Regional tournament after a tightly contested final against MCS. In blustery conditions, Cokethorpe played host for the U14 county tournament, the girls playing their matches against Bloxham, Headington, Cokethorpe and Tudor Hall. Lucy Peperell provided the victory in the first game against Headington, converting from a penalty corner, before scoring again in the 2-0 win against Bloxham, Jemima Paganuzzi adding the other with an emphatic finish. A dominant second half display against Cokethorpe wasn’t enough to overturn the 0-1 first half deficit, meaning the pressure was on for the final games of the day against Oxford High and Tudor Hall. 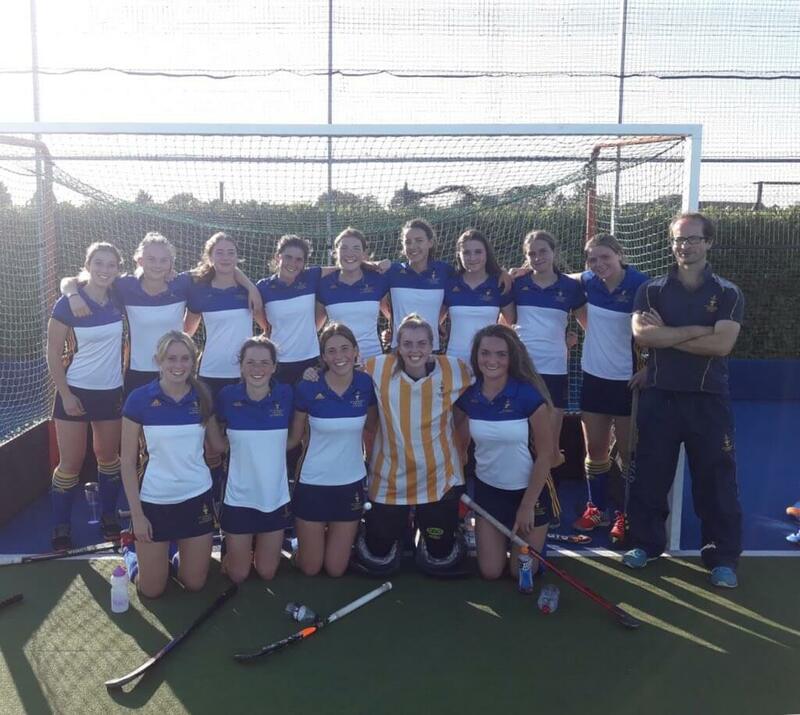 Oxford High were beaten 5-0, Alice Spencer with one of the goals and two apiece for Lucy Pepperell and Florence Spackman, meaning it all came down to the last game. The girls were more than matched to the task, coming away 4-0 winners and retaining the U14 County title in the process. Congratulations to all the girls, ensuring a clean sweep of Teddies sides will be competing at the Regional tournaments.